Many customers who have LIC Policy want to know How they can view the details of their LIC Policy details online. 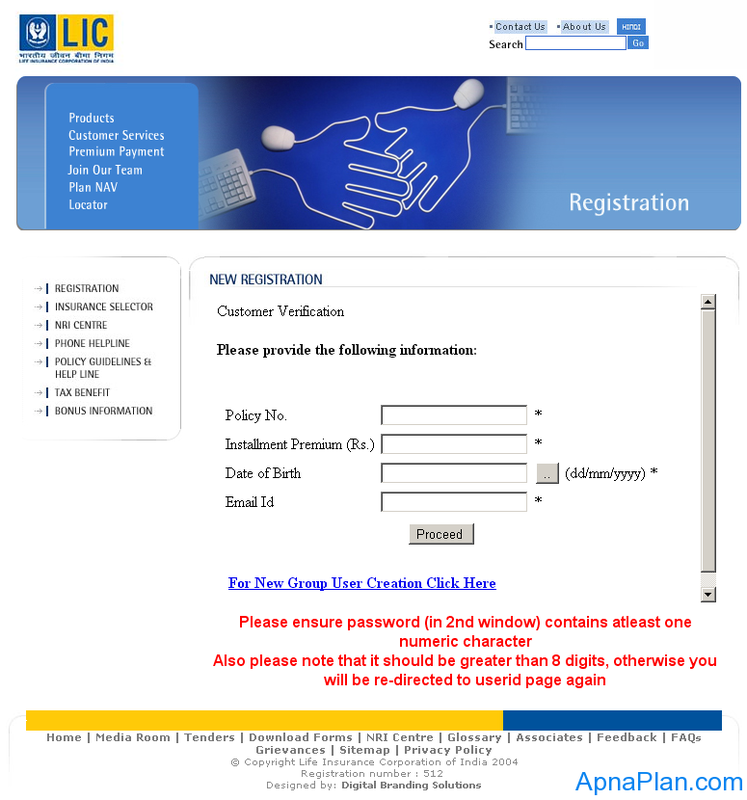 The process is simple and require a one time registration on LIC Website. Please ensure password (in 2nd window) contains at least one numeric character. Also please note that it should be greater than 8 digits, otherwise you will be re-directed to user-id page again.